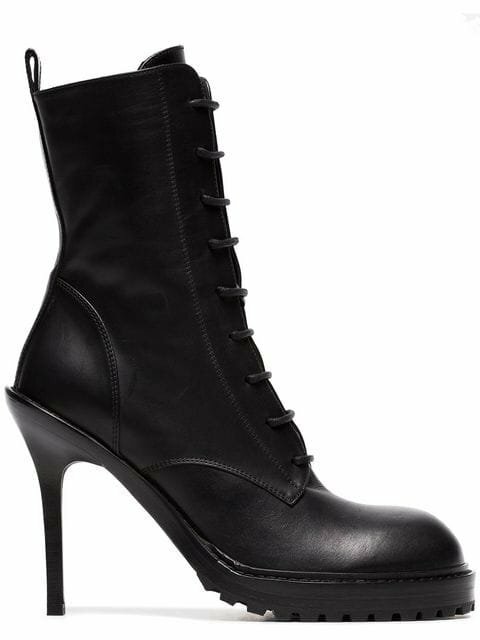 Black leather platform stiletto heels from Lola Cruz featuring a high stiletto heel, an ankle strap with a side buckle fastening and a platform sole. Black leather and silk sling-back stiletto sandals from Paul Andrew. Black leather and calf suede stiletto mules from Sergio Rossi. 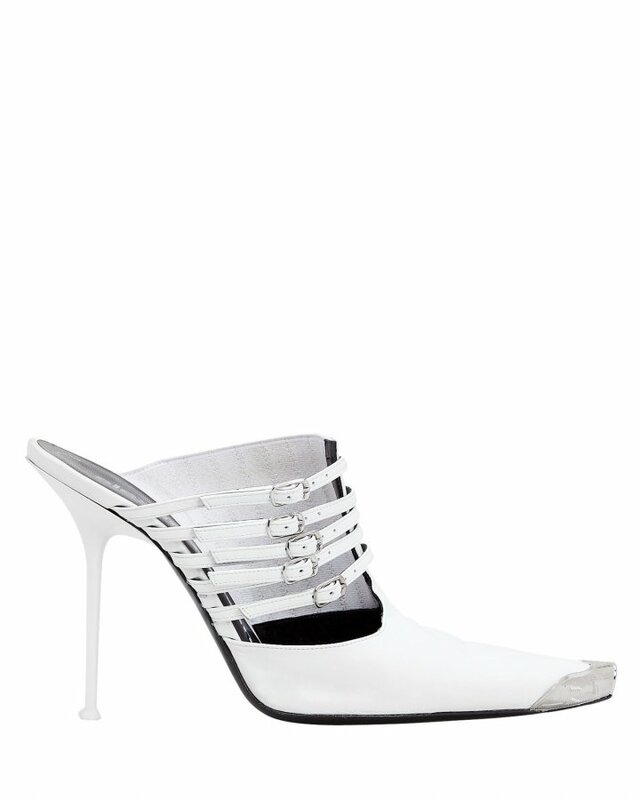 White leather Blade stiletto pumps from Casadei. Dark grey leather and suede Godiva stiletto pumps from Sergio Rossi featuring a pointed toe, a branded insole and a high stiletto heel. A pair of classic ankle boots is a must-have for any well-edited wardrobe. This pair from Aquazzurra have been crafted from metallic brown leather and detailed with a high stiletto heel, a pointed toe and a side zip closure. 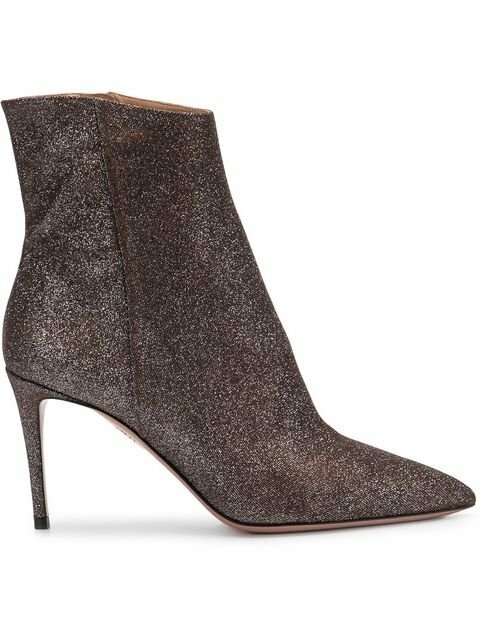 Free shipping and returns on Francesco Russo Pointy Toe Bootie (Women) at Nordstrom.com. Pre-order this style today! Add to Shopping Bag to view approximate ship date. 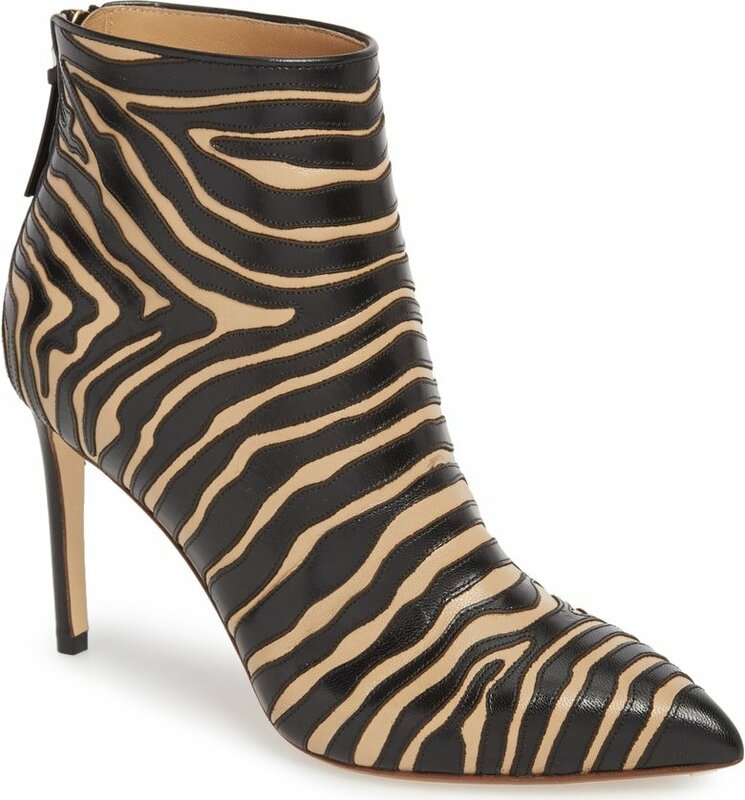 You'll be charged only when your item ships.Zebra patterning in supple leather adds to the fierce look of a pointy-toe bootie set on a sleek stiletto heel. Olivier Rousteing described Balmain’s AW18 runway collection as ‘fierce and confident’, continuing to showcase his signature power tailoring, figure-flattering silhouettes and heavy embellishing that have defined the luxury French fashion house since its conception These sassy black leather over the knee stiletto boots feature a back zip fastening, a pointed toe, a thigh-high style, a branded insole and a high stiletto heel. 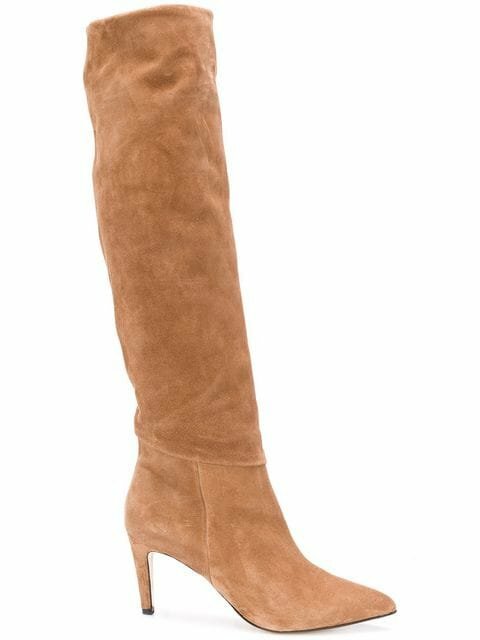 Cognac brown suede stiletto heel knee boots from PARALLèLE featuring a pointed toe, a pull-on style and a leather sole. 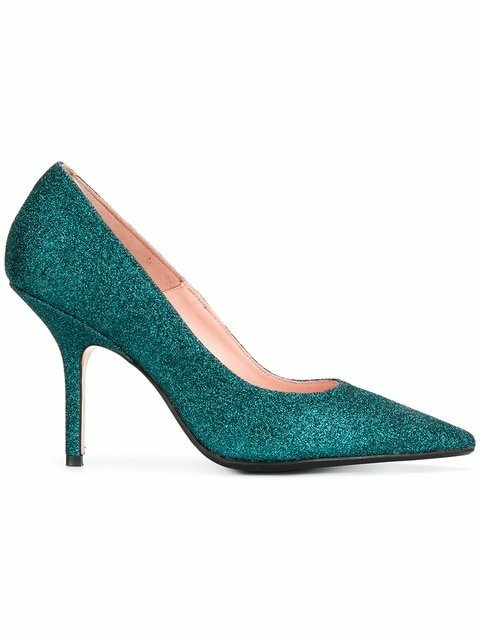 Petrol green leather glitter stiletto pumps from Anna F. featuring a pointed toe, a branded insole and a high stiletto heel. Nº21 fuses their impeccable Italian craftsmanship with a contemporary take on what modern-day fashion means. 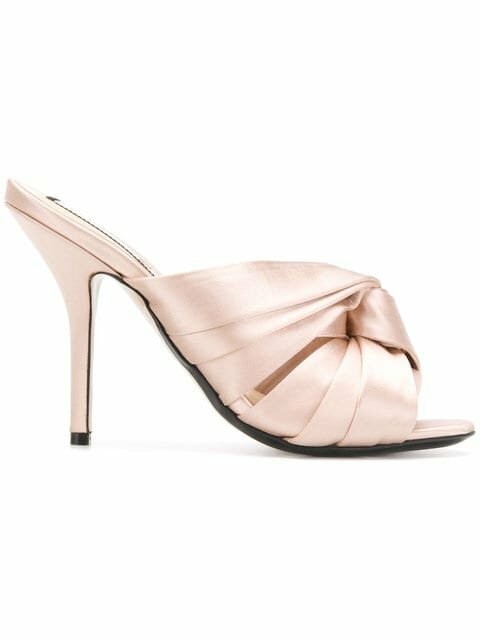 These powder pink silk and leather knotted mules from Nº21 feature a slip-on style, an open toe, a branded insole and a high stiletto heel. Italian shoe designer Gianvito Rossi founded his eponymous label in 2006 after working closely alongside his father, cherished shoemaker Sergio Rossi. Considered alluring, feminine and strong, Gianvito Rossi creates collections that speak to his legions of fans; designing footwear with a focus on expert craftsmanship and luxury materials. These silver-tone leather stiletto sandals from Gianvito Rossi feature a metallic sheen, a fur trim and a high stiletto heel.